In Europe's biggest music store you'll find a huge range of instruments as well as studio-, light- and sound technology. We have the most popular brands, low-priced alternatives, and many free extras for musicians. Quiz - Identify the guitarist by their guitar! 20.04.2019·Test your skills and identify the gui­tarist! 14.04.2019·Building instru­ments from trash? Des­perate times call for music making! Quiz - Can you name the percussion instrument? 06.04.2019·Name the per­cus­sion instru­ments in this quiz! Cheese in Surround Sound, Tasty! 02.04.2019·This is by far the chees­iest art­icle we have ever written at Thomann... but worth a read! Bon appetit! Take a 360° tour of Thomann to see inside our extensive instru­ment and equip­ment show­rooms, as well as our massive logistics centre. 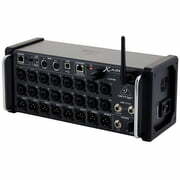 With the inter­active Cableguy you will find the per­fect cable for your equip­ment in a very quick and con­venient way. Simply choose the cable con­nectors you need and refine your search by indic­ating length, colour and man­u­fac­turer. In our "Mother of all Link Lists" you'll find direct links to almost every man­u­fac­turers of musical equip­ment in the world. Retrieve your favourite products much faster and easier! You can also send a wish list to your friends, family and fellow musi­cians, or even share it pub­licly. Hot Deals on the Loose! Forgot to order important gear before going away? On the go and no com­puter to hand? Relax – the Thomann mobile store is designed for use with all types of mobile devices and provides instant access to all our latest deals! Thomann.io is the plat­form for the Thomann web developers, researchers and designers. Made for geeks by geeks, it fea­tures tech insights, job vacan­cies, blogs, per­sonal testi­monies and lots of pas­sion for making music. For our visu­ally impaired cus­tomers, we've developed a 'bar­rier-free' access­ible web­store. This store offers easy access to our com­plete product range and many other fea­tures of the site. We're searching for motiv­ated people to expand our team of over 1360 highly addicted musi­cians. Visit our jobs sec­tion and maybe you'll become part of the Thomann family! Place free ads for your old gear, plus search for equip­ment to buy, musi­cians, and other musical ser­vices. You do not want to take any risk when paying online? With PayPal you do not have to. It’s quick, easy and safe! Simply pay within two clicks or set up your account now at www.paypal.com. The pro­cedure is very simple! Here you can get a feeling for new products, trends, and deals. Atten­tion: What hap­pens in the Thomann studio, stays in the Thomann studio! Click sub­scribe now! Do you want to earn cash with your own Web­site? Become a Thomann affil­iate and intro­duce us to your vis­itors. 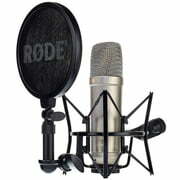 Our vlog fea­tures inter­esting videos on the latest products and loads more con­tent about making music. New videos are uploaded daily. On this page you will find an over­view of all major man­u­fac­turers in our assort­ment. To make sure you never regret your pur­chase at Thomann we offer our 30-Day Money-Back Guar­antee on all products in our range. Would you like to make your friends, rel­at­ives or fellow musi­cians happy? 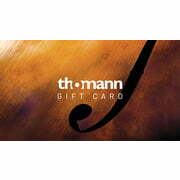 The new Thomann gift voucher will put a smile on every­one’s face. The per­fect present, and easy to pur­chase. 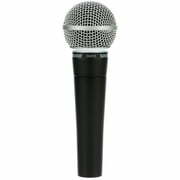 When we at Thomann pro­duce our sound clips, we pay very close atten­tion to make sure that the sound of all products is rendered faith­fully and without any alter­a­tions. We have more than 5000 gui­tars and basses in our product range – but no wor­ries, our Gui­tarLab will help you find the right one for you. From a choice of dif­ferent looks, price and fea­tures you will find the per­fect match. Down­load the free Thomann app to your tablet or phone now! Get even more dis­count when you add related items to your pur­chase. Starting with our bundle sug­ges­tions, you can mix and match to find your per­fect set. In our case factory we build your custom case quickly and reli­ably. You can assemble dif­ferent kinds of flight cases according to your own require­ments. Which stick is right for you? Find your per­fect pair by selecting length, dia­meter, punch and tip shape - plus you can filter by review rating, brand and even artist. The Thomann web store is very safe. We don't just say it, we guar­antee it! Choose our Amazon Pay option to use the details from your Amazon account to check out quickly and safely. Sorry, we can't ship orders to Amazon Lockers. 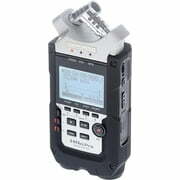 Our Audio Pro­fes­sional team looks after large-scale setups, pro­jects and rental equip­ment. Find out more at audi­oprof.thomann.de. Fancy get­ting your hands on some cool prizes, pro­moting your own songs and catching up on the hot­test news, including behind-the-scenes info from Trep­pen­dorf? Then head to our Face­book pro­file and like us. See what's hot and what's not? Every month we pub­lish our Top 50 list of best-selling products! Service as usual was first rate with very rapid delivery. 5 stars!